With so much going on, college life can sometimes be taxing, and you might need a helping hand along the way. Keeping you mentally and physically healthy is one of our main goals, so we offer services that will help keep you performing at your peak. If you are uncertain about your career path or how to connect with service opportunities, then our career and leadership programs will put you on track for success. We can help prepare you for your future career, as well as provide you with opportunities to develop your leadership skills and serve the community. Whether you are looking to live on campus, grab a bite to eat with friends or follow your passions and get involved with your fellow students, we have you covered. There’s something for everyone, so you are sure to find the perfect fit for you. 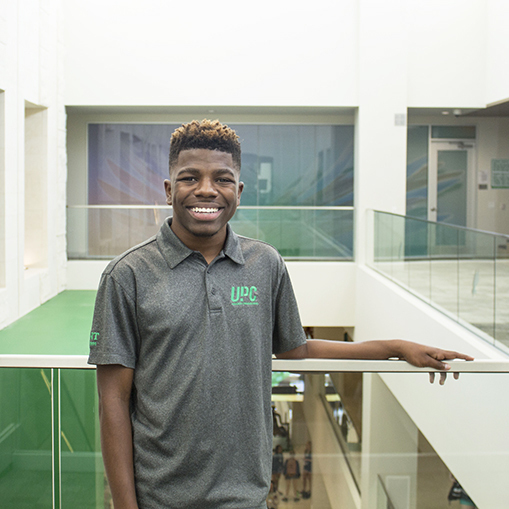 And our annual events such as Mean Green Fling, University Day and Homecoming provide great opportunities for you to jump into the UNT community. Every student is unique, and sometimes you might need a little extra help. We have a variety of support services and resources to make your life easier. We can help you with everything from legal matters to financial planning, so you are sure to have the support you might need as a UNT student.